Mikko Hirvonen and Elfyn Evans will be seeking further success as the M-Sport World Rally Team gear up for Alghero and next week’s Rally Italia Sardegna. The sixth round of the FIA World Rally Championship (WRC) provides a favoured hunting ground for both drivers, and the team have their sights firmly set on a strong result. Beyond the glitzy coastal glamour, Sardinia’s rugged mountains, ancient forests and unspoiled rural terrain make it ideal rallying territory. This year sees a move from the traditional base in Olbia to the western town of Alghero, but with 60 per cent of the stages unchanged the event has lost none of its charm. Regarded as a technical challenge, the route may be narrow but it is also extremely fast. A thin layer of sandy gravel masks the harder surface beneath and the stages are lined with treacherous trees and rocks. Leaving little room for error, Rally Italia truly favours the brave. Having secured six top-two finishes in Sardinia – including a win in 2012 – Hirvonen and co-driver Jarmo Lehtinen are regarded as one of the boldest partnerships in the championship. Having made an uncharacteristic mistake on the previous outing in Argentina, the pairing came back fighting. Fearless through the tricky conditions that blighted the final day’s rallying, they looked to be in a league of their own; taking more than half a minute out of their nearest rivals through a single fog-plagued stage. Hirvonen has a strong affiliation with Italy having spent much of 2002 competing in a number of the country’s regional events. Now, having truly reacquainted himself with the Ford Fiesta RS WRC, the Finn will be looking to channel all of his experience and skill into another strong result. Evans also harbours a soft spot for the Italian isle. 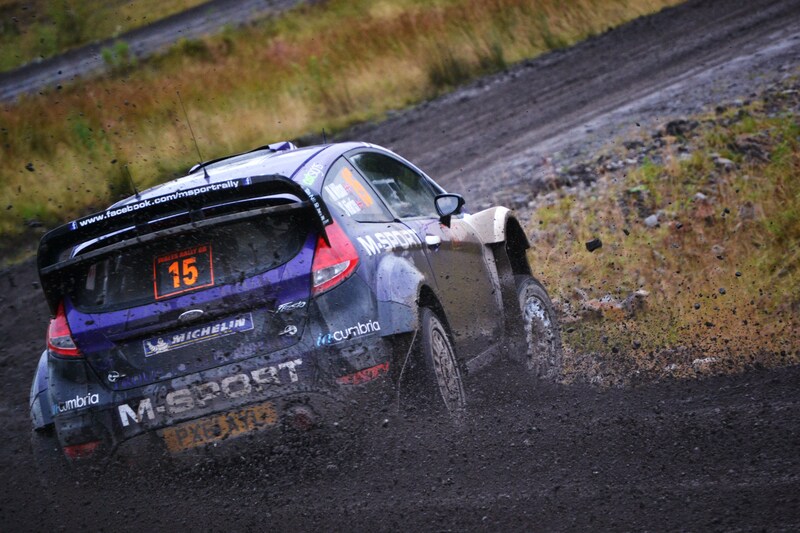 Having made his world rally car debut at the event last year, next week’s outing provides the only rally of the year at which the Welshman has already experienced the power and performance of the Fiesta RS WRC. Last year’s outing provided something of a novelty for the youngster. Plunged into the unknown, Evans tackled the rally for the first time with just three days preparation. With a new car and a new co-driver, he overcame all the odds. Eclipsing the efforts of the WRC’s most recent champions on their equivalent debuts, the Welshman secured a sensational sixth place finish which prompted his promotion to the WRC’s highest league. But Evans won’t let the familiar circumstances draw his focus. Determined to continue his development, the youngster has been working hard to ensure that he is in the best possible position to continue his progression. Having studied all of his notes and onboard videos from the previous year, the M-Sport man also travelled out to Sardinia a little earlier than planned to best acclimatised to the high temperatures with a specially designed fitness regime. “It will be nice to go back to an event where I have already experienced the power and performance of a world rally car, but I’m not going to let that affect my focus too much. The plan is still to learn as much as we can whilst developing our speed at this level. “This year will certainly be easier than last year. Twelve months ago I was completely thrown into the unknown. I found out that I would be doing the rally three days before the recce began. I had never driven the Fiesta RS WRC in competition, I had never tackled the Sardinian stages and I had never had to adapt to a new co-driver quite that quickly! “Thankfully, we overcame all of that. Thanks to the hard work of the team and Giovanni [Bernacchini, co-driver], we were able to secure a really good result and I think that is one of the reasons why I have been given this fantastic opportunity. Needless to say, this will always be a very special event for me. “Dan [Barritt, co-driver] and I have spent a lot of time since Argentina looking through all of the onboards and ensuring that my notes are as accurate as they can be. Forty per cent of the rally will be completely new, but for the familiar 60 per cent, I think that we are well prepared to continue progressing and developing our speed.